He just hasn’t found the right books yet. Insert Scanorama books. 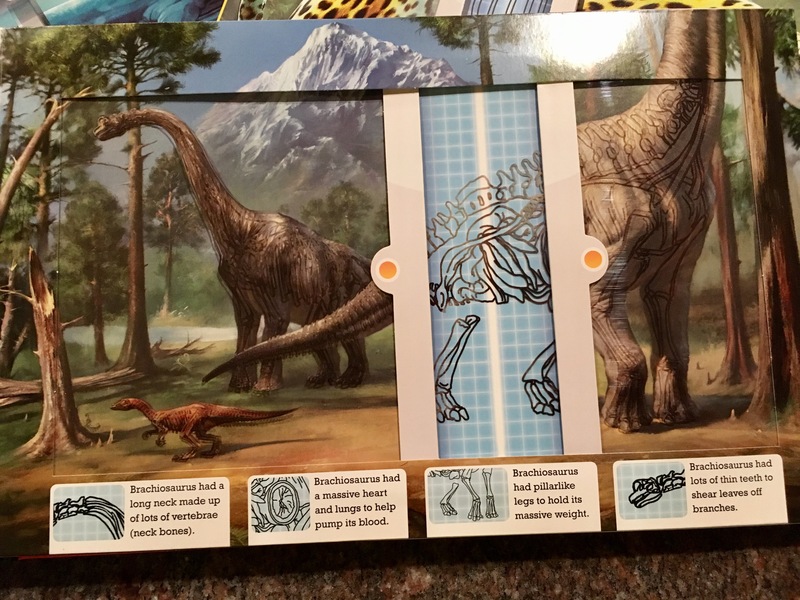 So Hucklebaby is OBSESSED with dinosaurs, but all of his other Dinosaur books aren’t as interesting… I mean, these have so many different text features to keep him in the book. 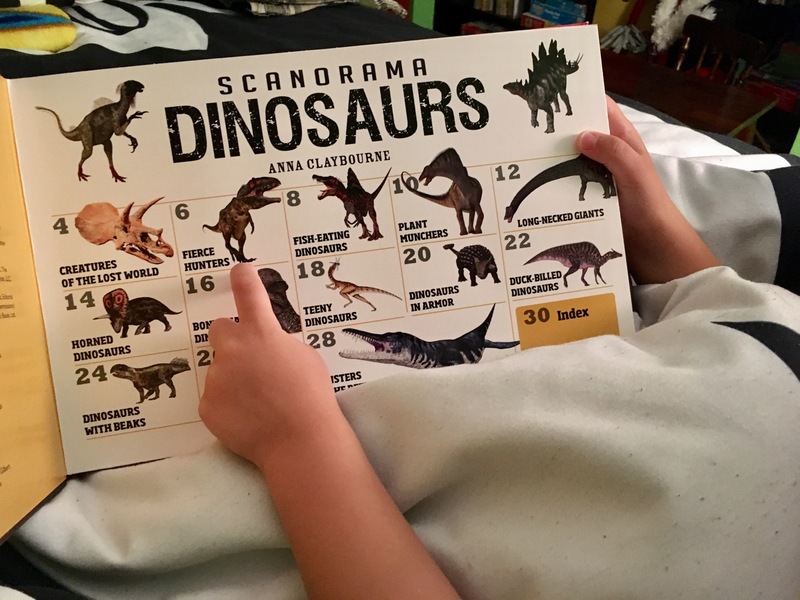 The pictures are nice and big… but if you want to feel like you don’t know how to read, try pronouncing all of the dinosaur names. 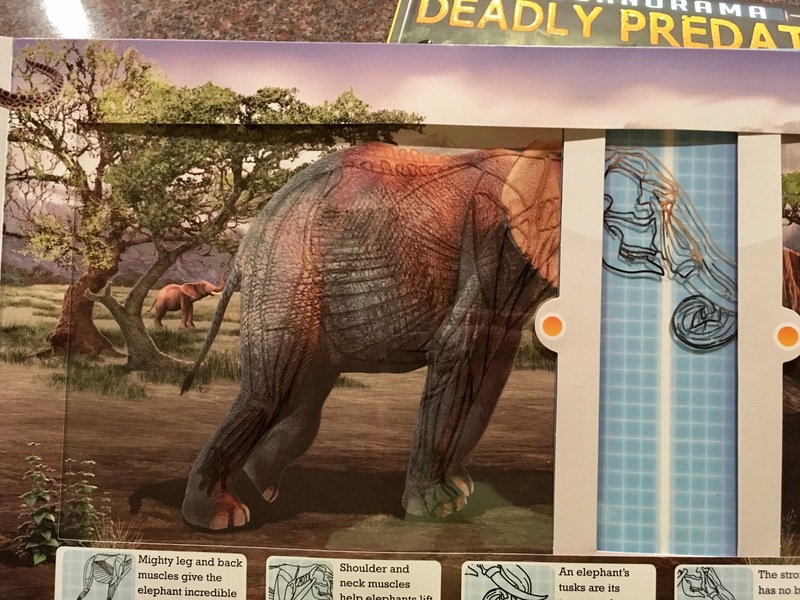 For real paleontologists… do you laugh about parents having to sound out the names during storytimes? Another great feature of the books is the x-ray feature. There are numerous ones throughout each book, and Hucklebaby LOVES them. I love them too. 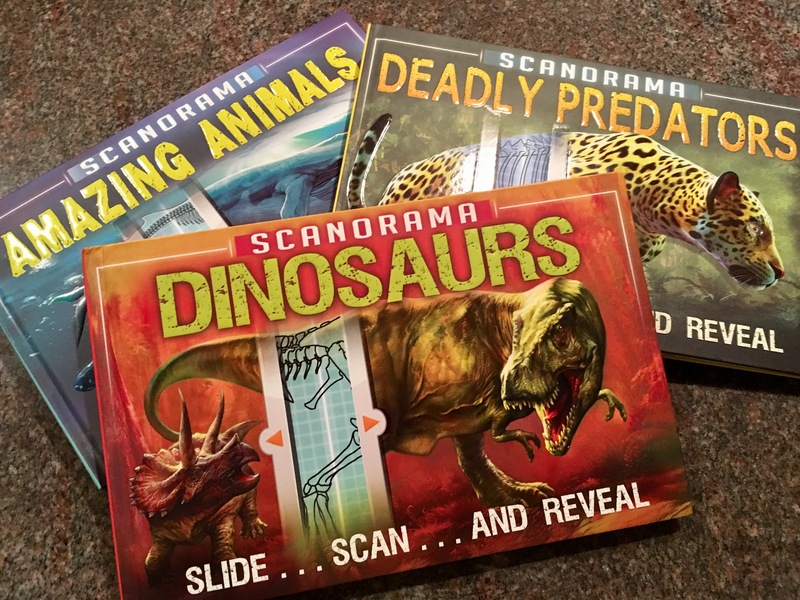 So if you are looking for a few new books to add to your kids’ library, that will keep them entertained and enjoying a book… I highly recommend these. They were perfect for our long Hurricane Irma evacuation car ride too. He kept finding new things he was interested in. Such fun books! My boys would love these! Thank you so much for sharing.